Twenty one out of the over 200 young girls kidnapped from a school in Chibok by Boko Haram in 2014 have been released. This is according to Shehu Garba. The release followed negotiations between Nigeria's government and Boko Haram brokered by Red Cross and Swiss government. It is confirmed that 21 of the missing Chibok Girls have been released and are in the custody of the Department of State Services, DSS. "It is confirmed that 21 of the missing Chibok girls have been released and are in the custody of the department of state services," presidential spokesman Garba Shehu said in a statement. 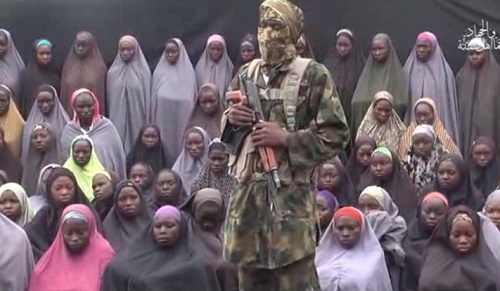 "The release of the girls is an outcome of negotiations between the administration and the Boko Haram brokered by the International Red Cross and the Swiss government," Shehu said. Who is the chiken chiky! Kaffy or Beyonce?